Thirty Seconds To Mars have parted ways with guitarist Tomo Miličević. 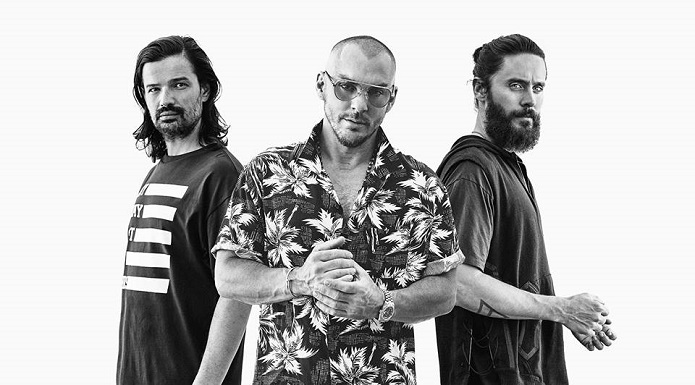 The musician wrote a long heartfelt note, explaining he decided to leave the band and thanking fans and bandmates Shannon and Jared Leto for the memories. “The years that I have been privileged enough to spend with all of you will live inside of my heart and mind as some of the most amazing memories I’ll ever had,” the former Thirty Seconds to Mars guitarist shared. Miličević also addressed the fans directly, asking them not to be sad and angry over his decision. Thirty Seconds To Mars are currently on tour in North America and will release a music video for their upcoming single “Rescue Me” tomorrow. The video will be out 8 a.m. ET (5 a.m. PT).